In today’s fast-paced business world, old-fashioned, off-line medical records retrieval systems are antiquated and increasingly costly in terms of staff hours spent versus returns reaped. The records retrieval process is complicated and can be time-consuming from all aspects, especially when done manually. Having a one-stop digital portal at your fingertips for submitting requests is the easiest, most effective way to handle records retrieval needs. At The Records Company we’ve designed our secure online portal to deliver the records you need in as quick a time frame as possible (typically, two to four weeks). By marrying a simple, intuitive mobile request system with a state of the art status updates portal, we employ decades of records retrieval experience to relieve the burden of records retrieval from your firm and provide peace of mind to your staff. You file a request—After signing up for a free account on our site, you’ll enter basic information about the case, the records needed, location and time frame in which the records are needed. We work on it—Once we have our marching orders, we review each request for fulfillment accuracy. Our experienced team has the skills and knowledge to alert you if an additional record is deemed necessary for your special situation. Our extensive relationships throughout the United States and abroad allow us to move efficiently and effectively through the massive records retrieval ecosystem. As we work, we also provide status updates via the online portal. 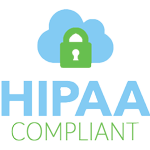 We deliver your results—Once we’ve completed your request, we deliver our findings in an orderly and secure manner, with full HIPAA compliance. We go the extra mile for you, and for all records delivery, we offer options in formatting and retrieval that include scanning, tabbing, and tailored presentation styles. Once all of your requested records are received, compiled, summarized, and ready to present, we upload them onto our secure website where you, or any authorized third party, can then access them. Truly, the process is that simple. At The Records Company, our customers are our top priority. It’s our goal to make medical records retrieval as easy, efficient, low-cost and painless as possible for you and your firm. Give our portal a try—It’s free to sign up for an account, and you only pay when you submit a request. There are no expensive monthly fees and we don’t require long-term contracts.